Table Tents are a popular choices for restaurants, bars and cafes to display their promotions. They are effective to engage customers when they are waiting to be served. Use them to display your latest promotions or your weekly menus/specials. 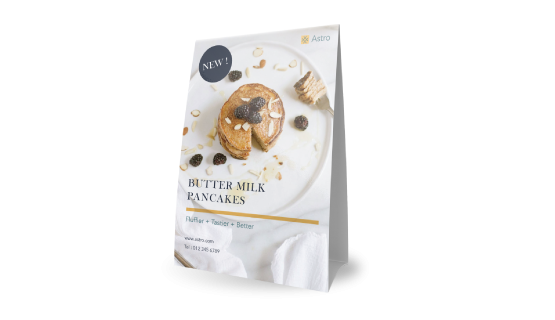 Printing table tents can also help you upsell your products, such as drinks or desserts. They are cost effective and a great marketing tool to display important and interesting information that never goes unnoticed.